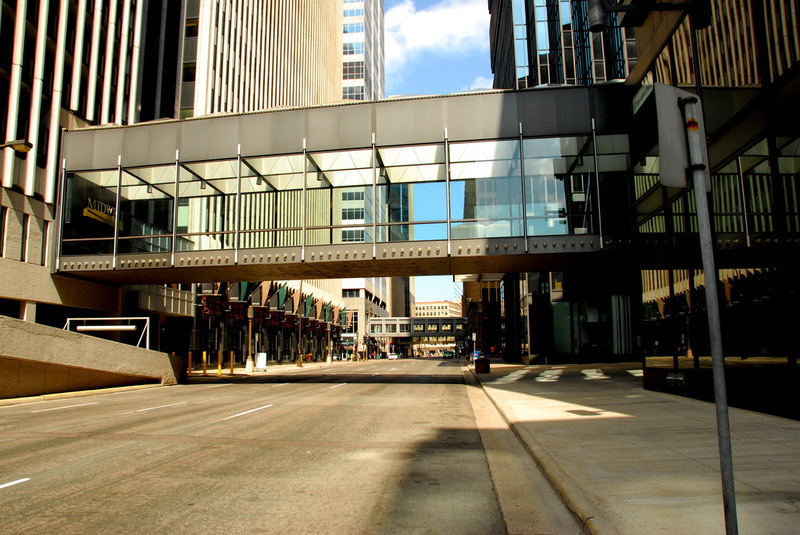 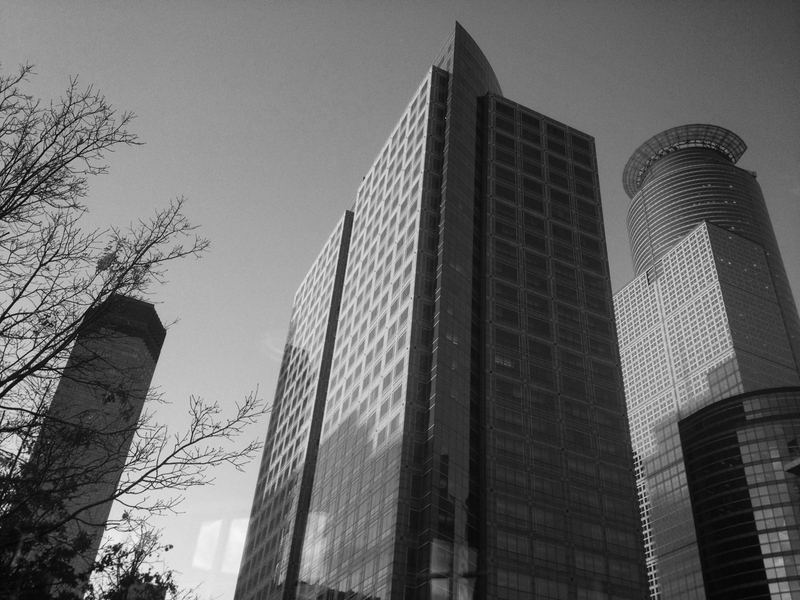 The Minneapolis Skyway System is an eight mile network of pedestrian bridges and internal corridors that connect more than 73 city blocks in Downtown Minneapolis allowing the public to walk in a climate-controlled environment year-round. 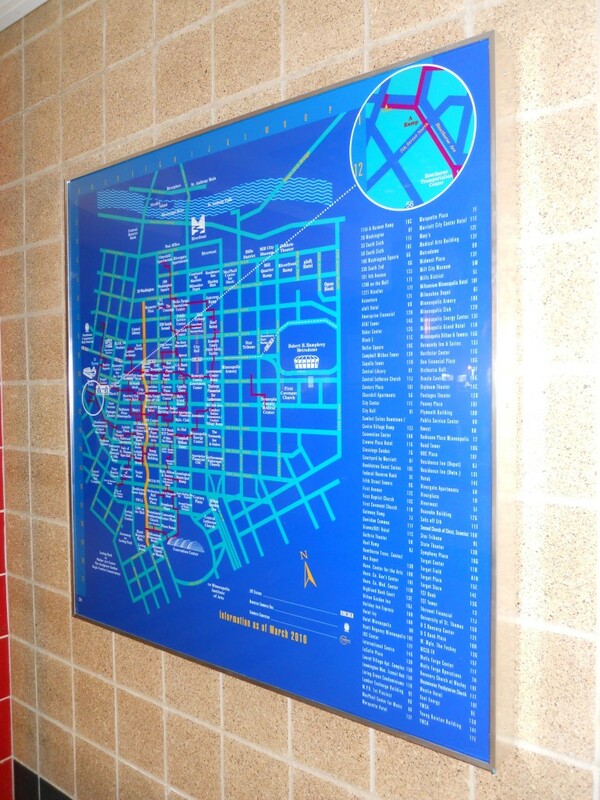 A themed wayfinding signage system is employed throughout buildings to help orient and guide people to their destination. 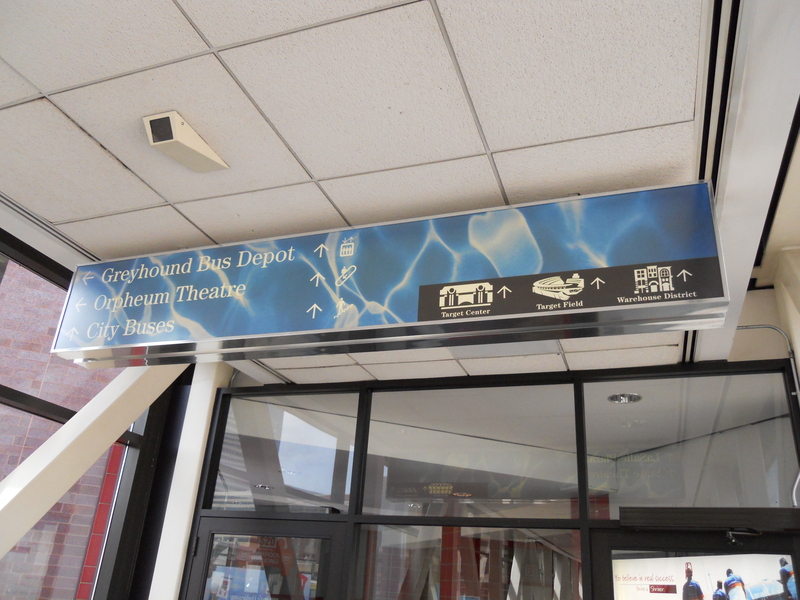 The Bluewater Signage System, as it is called, includes overhead directional signs as well as wall directory maps located in buildings throughout the system. 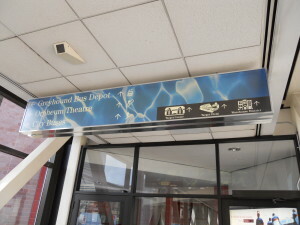 Urban Works works with building owners to install and update the signage system as needed.